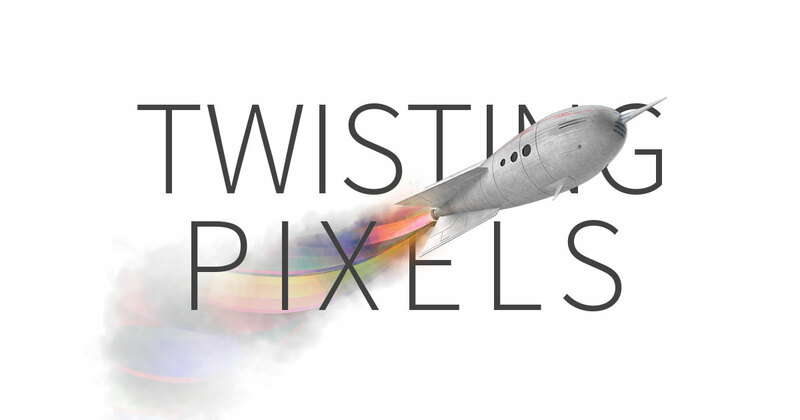 Today is the Official Launch Day for Twisting Pixels! Today is the official launch day of Twisting Pixels and I’m incredibly excited! It’s been a rocky road getting to this point; last minute changes in platform, getting to grips with WordPress (again) and putting together the first batch of content. All this while juggling a day job and keeping time free to set foot outside the front door! Being a digital artist and having written about photo-montage and design techniques for many years, I have twisted an awful lot of pixels. I had previously used Twisting Pixels for my portfolio site but when I thought of the idea for this one, it was definitely the perfect fit! What is the site’s purpose? The purpose of this site is to create a space to discover new artists from around the globe and find out about the motivation behind their work. We will be publishing artist features to showcase a selection of the artists’ work and interviews with the artists about their work. Alongside this, we’ll be regularly reviewing the apps and software used to create the images you see here, on Instagram and other popular gallery platforms. All this will help to promote the artists and provide inspiration to our visitors, too! Explore the site! Being fresh and new, our content is still building up; we have big plans for future content, so be sure to check back frequently. Remember to bookmark the site, RSS feed, if you like to get your updates that way. If you’re a digital artist and would like to be featured or interviewed, get in touch. You can also tag your images #twistingpixels on our Instagram account for a chance to be featured. There is no fee for any of our content. That’s all for now. We hope you enjoy reading our articles and keep coming back to see what’s new!